You probably know by now that we love avocados. In fact, you’ve seen us use them in everything from salads, to smoothies, to salsas, and even a pasta sauce! But our chefs simply couldn’t stop there. We had make a dessert that nobody could resist. The best part? 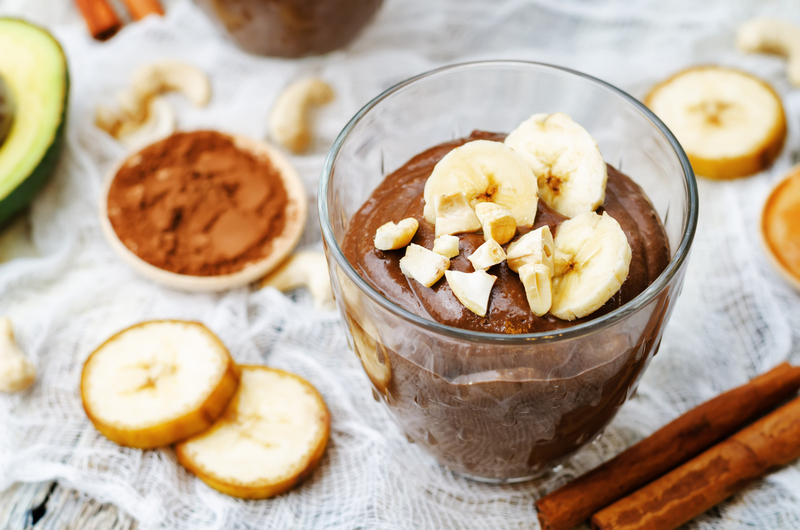 Not only is this Chocolate Pudding deliciously irresistible, it’a Vegan too! Avocados’ creamy texture paired with smooth cashew butter and frozen bananas are a match made in pudding heaven. A sprinkle of cinnamon and dash of vanilla makes this perfect for the holiday season. And we promise your guests won’t notice it’s vegan until you tell them. We were doubtful before we tasted it, but afterwards there was a clear consensus that we’d take this over the ‘real’ thing any day. So, skip the ready-made pudding at the grocery store, and resist the heavy-cream in the classic version. 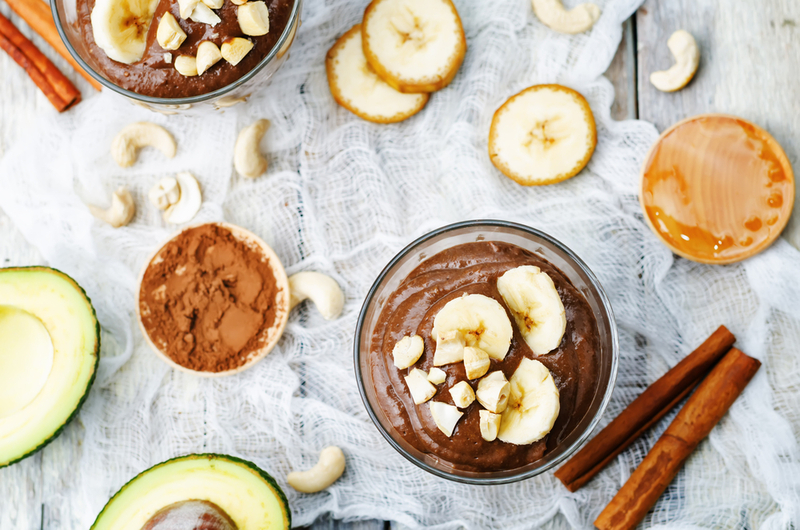 Try out our Vegan Chocolate Pudding recipe and see for yourself how easy it is to enjoy a healthy dessert (or snack….or breakfast…)! For another chocolate treat that tastes far more indulgent than it actually is, blend up this almond, date, and chocolate smoothie. Frankenstein Marshmallow Sticks For Halloween!